Register for the Running for Our Heroes 5K Walk / Run today! Please join us on June 15th from 9:00am-11:00am for our First Annual, Running for Our HEROES 5K Walk / Run. The proceeds from this event will benefit Osteosarcoma and Cholangiocarcinoma in honor of Sean Dixon and Lauren Dittrich Bilyeu. The goal is to bring the community together and promote health and fitness in a fun and positive environment. 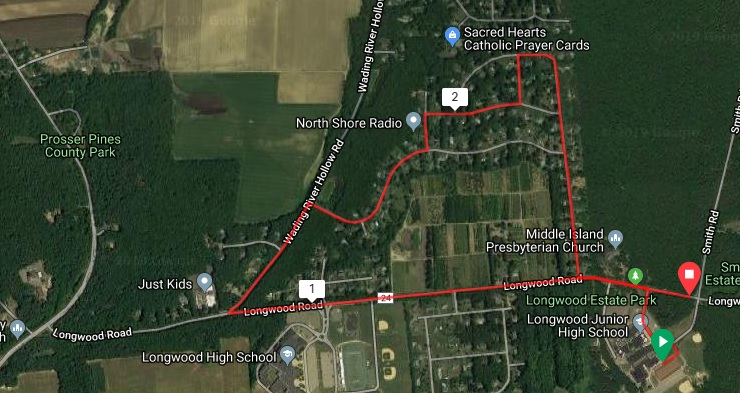 The course is fast and with some challenging hills through the beautiful neighborhood of Middle Island. There will be facepainting and food available on race day. Sean was born on July 6, 2001. For those who knew Sean they would agree that he always had a smile that could light up a room and his witty personality displayed confidence in all he set out to do. Sean had a natural love for life, school, sports, friends and family. In late July of 2015, just after his 14th birthday, Sean had broken his femur on non-contact play in lacrosse. His injury led to the diagnosis of Osteosarcoma, an aggressive, yet rare form of bone cancer. Sean began chemotherapy right away, which began to break up the primary tumor in his distal femur, but due to the size of the tumor, he began to bleed internally. The doctors made a fast decision to amputate his right leg. He went to through intensive therapy to learn to balance and walk on crutches alongside of continuing his intense chemotherapy regimen at Memorial Sloan Kettering and had to live at the Ronald McDonald house during his weeks of chemo. We soon found out that the cancer had metastasized to his lungs. Sean had to undergo several surgeries to try to resect or take out the tumors, chest tubes were placed due to a collapsed lung. With several recurrences of this beast and 10 different chemotherapy drugs, Sean never gave up. He continued to go to school, when he could, go out with friends, learn to drive a car and a jet ski with one leg. He was lucky to meet a young lady who made him happy and was proud to call her his girlfriend. Lauren Dittrich Bilyeu, Big Sister of Susan Dittrich Smith, was first diagnosed at 29 years old with Cholangiocarcinoma, a rare form of Cancer of the Bile Duct, in January of 2013. Lauren was a patient of Memorial Sloan Kettering from January 2013-January 2017. Lauren required a Whipple procedure and liver resection, along with an intense course of Chemotherapy in hopes of being cancer-free. Two years from the day of her surgery, in January of 2015, it was discovered that Lauren had a recurrence that was deemed both inoperable and incurable. With this news, Lauren could have retreated but she instead, in true Lauren fashion, showed her spirit and resilience in her mission going forward. With this news, Lauren set her eyes on a mission to help not only MSKCC, but also other Cholangiocarcinoma patients. Due to the fact that Cholangiocarcinoma is so rare, it gets so little funding and Lauren wanted to bring attention, awareness and research dollars to the Hepatobiliary Service, which directly researches cancers of the Bile Duct and other related cancers. Lauren began a fundraising site through MSKCC in hopes of funding research and clinical trials. To date, Lauren’s site has raised $194, 204. Her surgeon has informed us that Lauren’s money has gone to funding a clinical trial that will treat inoperable tumors of Cholangiocarcinoma patients and he feels it has real promise. Lauren knew that her result would not be positive but still wanted to do something to help the lives of others. “While I know this money will not help me” she said “I know that it will go toward saving someone with Cholangiocarcinoma.” This was Lauren’s vision. This was, and still continues to be, Lauren’s spirit. Lauren’s family and Husband are determined to continue her fundraising efforts, knowing how important this was to her. They are forever grateful to MSKCC for the incredible care they took of Lauren and for the ways in which they extended her life, allowing her to accomplish two goals she set out for herself when she first got sick. First, was to spend her 30th Birthday looking at the Eiffel Tower. Second, was to celebrate her 5th Wedding Anniversary and renew her vows with her incredibly dedicated husband, Curt. #TeamLauren will never stop fulfilling her dream!